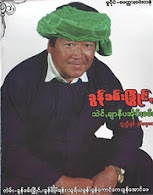 Taunggyi Time (ေတာင္ႀကီးတုိင္းမ္): Q+A - Myanmar and N.Korea nuclear ties: smoke or fire? Q+A - Myanmar and N.Korea nuclear ties: smoke or fire? SINGAPORE (Reuters) - Speculation that North Korea has been helping military-ruled Myanmar build nuclear facilities near its capital has been growing recently, with U.S. Secretary of State Hillary Clinton voicing those concerns last month. But are the reports -- including one mainly based on interviews with Mynamar defectors -- more smoke than fire? WHAT ARE THE ALLEGED LINKS? The Sydney Morning Herald reported on Aug 1 that Myanmar is building a secret nuclear reactor and plutonium facility in caves tunneled into a mountain in the northern part of the country, perhaps with help from North Korean experts. It cited two researchers who interviewed Burmese defectors as the source of information about the secret programme. The facilities are close to a planned civilian research reactor that Russia has agreed to help build. The defectors also said Myanmar, which has known reserves of uranium ore, had provided refined "yellowcake" processed uranium that can be used as nuclear fuel to Iran and North Korea. While North Korea has proven reserves of uranium ore, it is not clear if it has the capacity yet to refine it, analysts say, who also note that defectors can be unreliable. In June, the North Korean cargo ship Kang Nam I was heading for Myanmar, believed to be carrying a shipment of small arms, but turned around and went home after a U.S. Navy destroyer began tailing it under a new system to track arms shipments covered under U.N. sanctions. The Indian coastguard detained a North Korean ship off the Andaman and Nicobar Islands and were searching it this week for radioactive material. Indian authorities said they were trying to determine if Myanmar had been on the ship's route. WHAT ARE THE INTERNATIONAL CONCERNS? Impoverished and isolated Myanmar, ruled by a junta since 1962, has been under western sanctions the past two decades. A nuclearised Myanmar could trigger an arms race in the region, analysts said. U.S. Secretary of State Hillary Clinton said at a security forum in Thailand in July she was concerned about the possible transfer of nuclear technology to Myanmar from North Korea. U.S. Defence Secretary Robert Gates said in Singapore in May Washington would hold North Korea "fully accountable" if it transferred any nuclear material outside its borders, citing that as a "grave threat to the United States and our allies". North Korean sales of missiles and other weapons materials to tense or unstable parts of the world have long been a major concern of the United States and its allies and its ships are occasionally stopped and inspected. WHAT DO SECURITY EXPERTS THINK? Several security analysts do not believe the site shown in satellite photos circulating on some security analysts blogs is a likely site for Myanmar's nuclear arsenal facilities. Sean O'Connor said on his blog www.armscontrolwonk.com that it was too far from sources of water needed to cool the reactor and was more likely to be a support base for any such facility. Mark Hibbs of Nuclear Fuel publication wrote on Aug. 10 the building shown in the photos is likely "a nonnuclear industrial workshop or machinery centre". The Institute for Science and International Security said last week it had reviewed ground photographs of suspected tunnel facilities in Burma obtained by YaleGlobal and determined that at least one of the purported tunnel entrances was a dam sluice. "Other photographs do indeed depict tunnel entrances and indoor or underground storage facilities, and are likely not nuclear industrial facilities." the Washington-based think tank wrote on its website.